Ultan Dillane has a peak inside the corporate tent, at The Sportsground, where we are setting up a few cameras for is interview and backs away like an arachnophobe that has encountered a tarantula in his bathroom. Munster are coming to Galway for a game against Connacht that has taken on a huge amount of bite in recent years. He may have been born in Paris, and raised there until he was seven, but Dillane is a big, strapping Tralee man. Through and through. During our chat, when we finally wrangle him in and get our act together, he refers to Kerry as "home". It will always be home but his past four years in Galway have seen him grow extremely fond of the place. For Connacht fans, the feeling is mutual and all parties were delighted when Dillane signed up with the province until June 2019. The end of that contract would see Dillane in Ireland for just under 20 years. 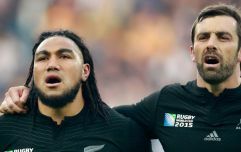 He already has 10 Test caps and a Guinness PRO12 winners' medal to his name. There's no way he envisioned that when he was dropped to the Munster 'B' team at underage level and certainly not when he was a seven-year-old French kid, back in 2000. "We went to school around the block from the apartment where we lived," he says. "Unfortunately, we had a passing in our family and my mam [Ellen] just felt she wanted to be closer to home. So that brought me, my brother and her back to Kerry. "We settled in Tralee and we were near the cousins, and everything. I dabbled in some other sports but it wasn't until the age of 12 that I had a crack at rugby. I loved it from the very first training session now and never looked back." He recalls being 'that little bit taller' than his new, Tralee classmates as he settled in and is thankful for the natural strength that bought him time to develop as a rugby player because he is certain that basic techniques and skill eluded him in the beginning. As for school and social life, there was a more pressing issue. "For the first year or two, I couldn't understand anybody," he recalls with a grin. "My brother and I could only speak French back then. Even when my mum spoke English to us, we could only understand the odd word here and there." School had its moments but interactions with friends, outside those gates, his cousins and his rugby found him bedding in quickly. He started to show a real aptitude for rugby with Tralee RFC - "I loved the physicality of it" - and he eventually came to the attention of Munster and Ireland Youths. Making it through the trials for West Munster U16s was the first indicator that he could make something of himself through rugby. He was then spotted, and selected, for a trial project called the National Training Squad with another 40-odd prospects. From there, the call came from Munster Youths and Ireland Youths. He returned to France [Brittany] to help that Ireland U19 side beat the hosts and believes it was that performance that really spurred him on. "I don't know if every player gets moments [of doubt]. I definitely did. "I had just turned 18, was finished the Under 19 season with Munster and was coming back from a hand injury. I didn't play that well and had a poor season with Munster 19s. I got dropped to the Munster B's... we won our interpros but I still felt, because I had been dropped from the main group, 'Oh that's that now'." Not for the first time, it was Dillane's mother that steadied the ship. Even if life as a professional rugby player was not to be, she told him, he could still play for fun. It could still be that outlet. At the time, he was doing some work at a bar [Bailey's Corner] in Tralee. The locals reckoned he was the tallest lounge-boy ever, but Dillane was mostly on glass collecting duty and manning the door. "Those were great times," he says, "really great times. I had a lot of fun there." It may be too dramatic to call his surprise call-up to a three-day Irish U19s training camp, in Clongowes, as his last chance to make it but, at the time, that was how it felt for Dillane. He made the squad, then the team and then helped them to beat England away. When a full academy contract at Munster did not materialise, his Irish U19s coach Nigel Carolan came up trumps. Carolan was head of the Connacht academy and he swooped in for the big lock. 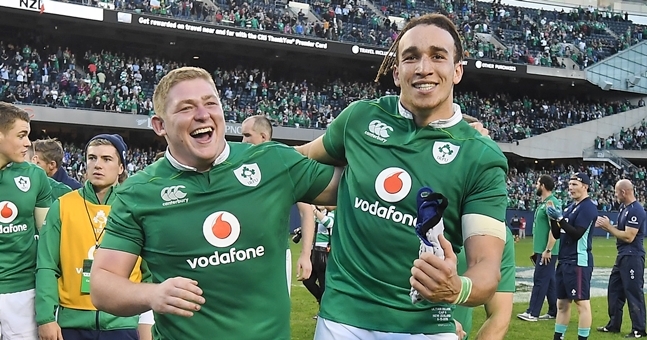 While Sean O'Brien and Cian Romaine were the two Connacht locks most of us were watching closely, hardly anyone had heard of Dillane when - just a month after his 21st birthday - Pat Lam gave him his senior debut for the province. Within the space of three weeks, he had played Ulster, Munster and Leinster and had shown signs of genuine talent in each outing. Lam loved Dillane's hard-charging, impact-tackling, athletic style of play. 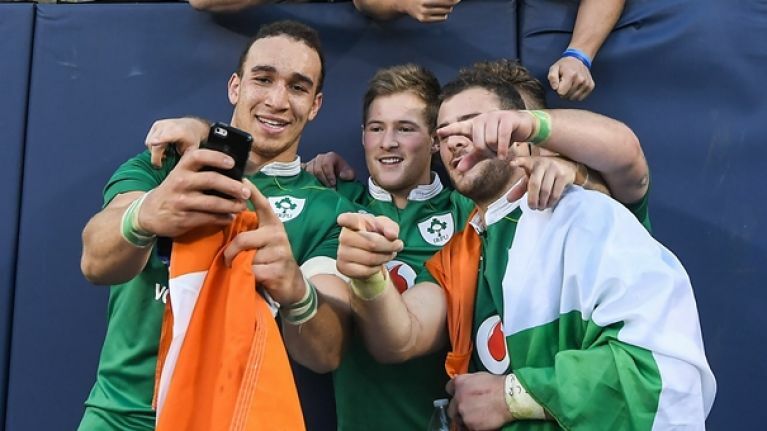 Dillane secured a senior contract by the season's end and, by the time May 2016 had come around, had won a league title and broken through to the Ireland team. He appears laid-back but, when it comes to his rugby, the 6-foot-6 lock is driven. "You want to play consistently well for your province and doing that will get you selected up there [for Ireland], you hope. That's my first priority. But everyone has to have their goals and I definitely would have a few." One of those goals would have been inclusion in the Ireland squad for November's Guinness Series and that was achieved when Joe Schmidt named him in a 38-man panel for the three Tests ahead. 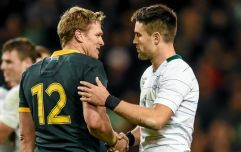 With less than two years to the World Cup, the second row will be eager to lay down a marker in the green of Ireland. Ahead of another huge game against his home province, Dillane has been in touch with family and friends from Kerry who are heading up for night. 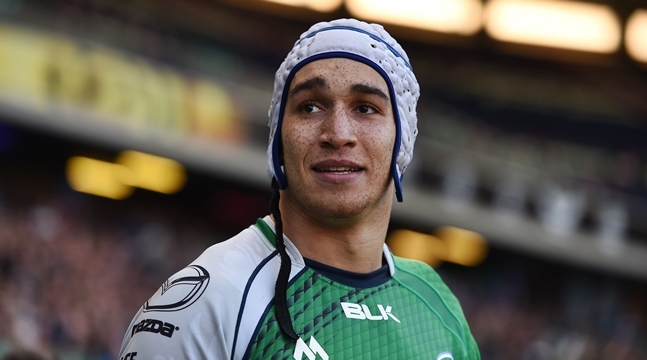 There should be a big crowd of Dillane fans at The Sportsground - some cheering him on while secretly hoping Munster put the hosts away. His mum, Ellen will be there too. "I remember her driving me from all these trials, from Tralee to Cork and to Limerick, once or twice a week in the summer. Even while working nights, every second week. She put a lot of work in." That ethic and commitment definitely permeated into the tall French kid that came of age in Tralee and became a hero in Connacht.